A holiday that involves the phrase “Fat Tuesday” is definitely something I can get down with! Though far from the parades routes in the famed Crescent City, I have been lucky to experience my own local version of Mardi Gras thanks to my dear friend Judy. Judy lived for many years in New Orleans and brought the wonderful Mardi Gras traditions back home with her. She has graciously shared these traditions with us! Aside from the flamboyant masks, costumes and sparkly beads that accompany Mardi Gras, my favorite part is the food. The dessert in particular is a favorite thing of mine. King cake is a traditional dessert associated with Mardi Gras. In light of the elaborate nature of Mardi Gras, king cake is actually a very simple dough-based dessert usually with a filing of some sort. The cake is in honor of the three kings who brought gifts to baby Jesus. In New Orleans king cakes are typically served from Epiphany (twelve days after Christmas) on through Mardi Gras. Baked inside the cake is a tiny plastic baby representing the baby Jesus. 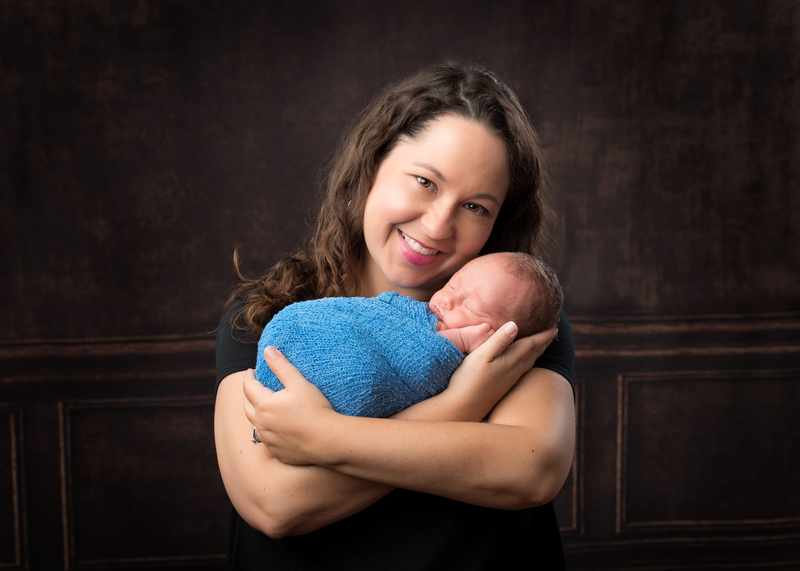 The tradition is that the party guest who receives the lucky piece of cake containing the baby is then responsible for hosting the next party or providing the next king cake. 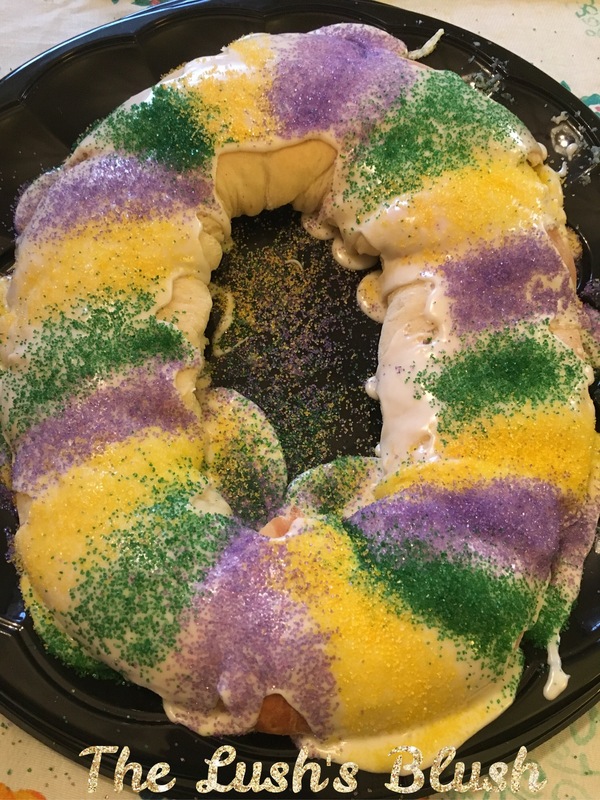 I have been the recipient of this lucky piece of cake on several occasions but have never followed through with the tradition as I did not know how to make a king cake. Now I will no longer be able to use that as an excuse. A few weeks ago Judy came over and taught me step by step how to make this delicious confection. 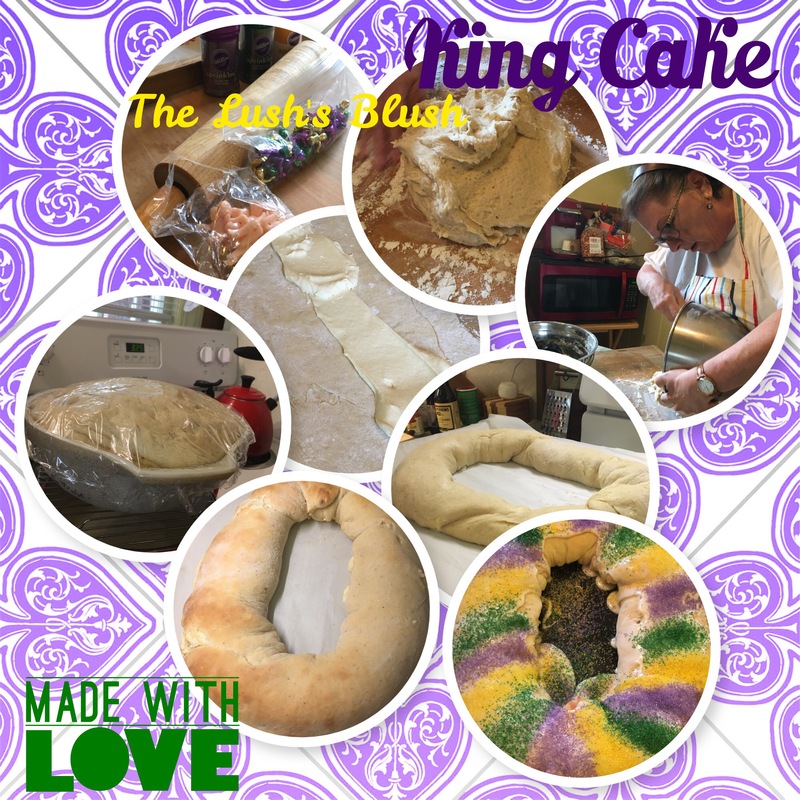 While simple in nature, the baking of a king cake is quite time consuming as it requires time to make dough and allow it to rise. Working the dough is quite a process as well. I have a tendency to be fearful of dough recipes as I’m always afraid of overworking the dough and making it tough. Judy had to instruct me to be a little more forceful in my kneading in order to get the dough to the right consistency. Once you really get going with the dough has this very sensuous silken feel to it that is quite delightful. Once the dough has been thoroughly kneaded and allowed to rise, it is then rolled flat to be filled. For our king cake making day, Judy and I made a cream cheese filled king cake and a cinnamon filled. Judy said that fruit filling is also an option. Once the dough is filled and rolled into an oval shape, it must then be allowed to rise again before placing the plastic baby under one edge of the dough and baking it. Once cooled, the cake is then covered in a simple powdered sugar based icing and decorated with purple, green and gold sprinkles, the traditional colors associated with Mardi Gras. The colors are said to represent justice, faith and power. I admit putting on the sprinkles was my favorite part of the process, well aside from eating it that is! As we were making the cakes I thought the cream cheese filled would be my favorite, but I actually like the cinnamon filled just as much. My recommendation is to make both and have a slice of each, alternating bites between the cream cheese and the cinnamon. The thought also crossed my mind to try combining the fillings the next time I make them. The question remains, will I be brave enough to attempt making king cake without Judy’s assistance? The recipes is below if you want to give it a try! 1. Cook first four ingredients in a saucepan over low heat, stirring often, until butter melts. Cool mixture to 100 to 110 degrees. 2. Dissolve yeast and one teaspoon sugar in 1/2 cup warm water in a large bowl; let stand five minutes. In a mixing bowl, combine yeast, butter mixture, eggs, nut meg, lemon peel and two cups flour. Beat at medium speed with an electric mixer for two minutes or until smooth. Gradually stir in enough remaining flour to make a soft dough. 3. Turn dough onto a lightly floured surface and knead until smooth and elastic; about 10 minutes. Place in a well-greased bowl, turning to grease top. Cover and let rise in a warm place (85 degrees), free from drafts, for one hour or until doubled in bulk. 4. Using an electric mixture, mix cream cheese until smooth. Add egg and blend well. Add sugar, salt and vanilla and mix until smooth and creamy. Set aside. 5. Punch dough down; divide in half. Turn one portion out onto a lightly floured surface. Roll to 28 x10 inch rectangle. For the cream cheese filled cake, spread half of cream cheese mixture on dough, leaving a small 1/2 to 1 inch margin all around. For the cinnamon filled, brush dough with softened butter, leaving 1/2 to 1 inch margin, then sprinkle surface with sugar and cinnamon mixture. Roll dough, jellyroll fashion, starting at long side. Place dough roll, seam side down, on a lightly greased baking sheet. Bring ends together to form an oval ring, moistening and pinching edges together to seal. Repeat with remaining dough and cream cheese or cinnamon mixture. 6. Place a small plastic king cake baby underneath the king cake. Cover and let rise in a warm place, free from drafts, 20 minutes or until doubled in bulk. 8. In a small bowl gradually add small amounts of milk to powdered sugar and stir until icing is the desired consistency. Add almond flavoring if desired. 9. When cool, decorate with thick white icing glaze and bands of purple, green and gold sugar sprinkles in alternating colors using a N-S-E-W fashion or as other desired pattern.